The PRINCE2 (Projects IN Controlled Environments) certification is recognized globally for its practice-driven approach to project management. You’ll learn the general PRINCE2 framework, seven key processes performed at project intervals, and principles that guide managers during the project lifecycle with a special focus on tailoring. PRINCE2 is an ideal investment for building a career in project management and can help you earn about $11,000 more per year than non-certified peers. This PRINCE2 Foundation and Practitioner training course is designed to ensure you pass your PRINCE2 exams on the first try. Our hands-on training approach, which has been trusted by more than 20,000 learners will empower you with the knowledge of the seven principles, processes, and themes described in the PRINCE2 guidelines. You will also learn how to tailor projects as per the environment. Armed with this training, you’ll help your organization execute projects more efficiently with clearly defined templates, processes, and steps. PRINCE2 (an acronym for PRojects IN Controlled Environments) is a de facto process-based method for effective project management. PRINCE2 is widely recognized and used in the private as well as public sector. The PRINCE2 method is in the public domain and offers non-proprietorial best practice guidance on project management. What are the benefits of having a PRINCE2 certification? Prince2 is a highly recognized and reputed qualification. Not only does it give you a strong skill set to add to your resume but also considerably increases your ability to execute projects in a corporate environment. The skills you gain are industry-agnostic and have a global appeal. How do I become a PRINCE2 certified professional? 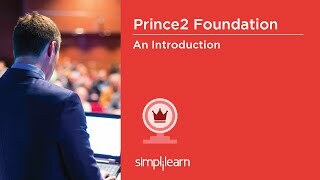 To become a PRINCE2 certified professional, you must complete PRINCE2 training from an accredited training organization like Simplilearn and pass the PRINCE2 Foundation and Practitioner Exams. For detailed information on the application filing process, refer to the information on the PRINCE2 Certification Journey page. Are there any prerequisites for a PRINCE2 certification? No, there are no prerequisites; however, you must have cleared the PRINCE2 Foundation Exam. For detailed information on the application filing process, refer to the information on the PRINCE2 Certification Journey page. You must complete at least 85% of the course or attend one complete batch. You must also complete one simulation test with a minimum score of 60%. How long does it take to get PRINCE2 Practitioner exam results? For web based exams, results are immediate, subject to final verification from PEOPLECERT. For paper based exams, results are sent within 2 days upon receipt of the exam papers. How frequently does exam fee change? Exam prices are dynamic and governed by the certification body. Normally price changes are announced during the end of the calendar year. You will be liable to pay the difference amount to Simplilearn if you had not booked the exam and the exam price is hiked in the meantime. How do I book the exam? For customers outside India, a web-based exam will be booked, and for Indian customers, only paper-based exam will be booked. You can book both online and paper-based exam by contacting our team. For the paper-based exam, you will need to visit any of the authorized centers below to take the exam. Until when can I procure voucher from Simplilearn? Your exam voucher fee is included in the price of this course. However, you must procure the exam voucher within six months from the date of course purchase. In the event that an exam price does go up and you have not yet booked the exam, you will need to pay the difference in amount to Simplilearn. What is the validity of my exam voucher? Exam vouchers are valid for 1 year from the date of issuance. If you do not book the exam within 1 year from purchase of voucher, you will need to buy the voucher again as per the actual price. Is the exam fee included in the course fee? Yes, the exam fee is included in the course fee. For your convenience, you can book your exams through Simplilearn. What is the passing score for the PRINCE2® Foundation and Practitioner certification exam? To pass in the Prince2 foundation exam you need 33 marks out of a total of 60 marks (i.e. 55%). To pass the Prince 2 practitioner exam you need 38 marks, out of a total of 68 available, to pass the exam, i.e. approximately 55%. For customers outside India, a web-based exam will be booked, and for Indian customers, only paper-based exam will be booked. For the paper-based exam, you will need to visit the authorized center to take the exam. How do I schedule my exam? For assistance in scheduling your exam, reach out to the sales consultant (inside sales manager) or raise a request to the support team of Simplilearn. I have passed the examination. When and how do I receive my certificate? In case of both online and paper-based exam, your certificate will be available on PeopleCert website within 10-14 working days. How long does it take to receive the exam results? In case of an online exam, you will receive a provisional result immediately after completing your exam. However, for both online and paper-based exam, the actual validated result and certificate will be available on PeopleCert website within 10-14 working days. Will my PRINCE2® Foundation and Practitioner certificate expire? PRINCE2 certifications never expire. This is true for both Foundation and Practitioner. Only the status as a Registered Practitioner has an expiration date. The status as a Registered Practitioner expires 5 calendar years after certification. Can I ask for refund of exam voucher cost once it's issued to me? No, exam voucher cost cannot be refunded once it is issued to a learner as we procure this from third party bodies. Simplilearn does not own voucher policies and cost. 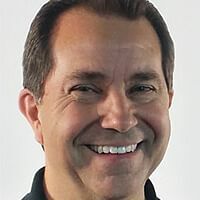 Jeff Allen is a highly-regarded project management and Agile expert with more than 15 years of experience at large companies like Compaq and HP. As an Agile Coach, he has mentored over 5000 professionals globally. Tim Jerome is an international project management expert with over 15 years of experience at companies like Intel and Digital Network Services. 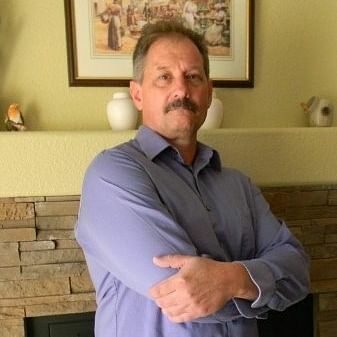 A former president of the PMI Rio Grande Chapter, Tim is also a PMP instructor with over 10 years of experience in addition to his extensive project management consulting experience. The trainer is just amazing - brilliant, witty, has a vast knowledge of the subject as well as the industry. He gave practical and current examples and kept the session interactive. I liked the wa the training was conducted, the trainer's expertise, the course content, real-life examples and the way the course was facilitated. I highly recommend Simplilearn. The course content is easy to understand and helpful to get ahead in the career. Great support from the team. Simplilearn provides excellent features of the online self-study and its materials for all certified learning programs. The lecturers are well experienced and provide good support to all the learners. I have enrolled in Prince2 and will be continuing all other courses through Simplilearn. Highly recommended to anyone who wants to pursue part-time or at your own flexible time. The support team has the best and efficient responses within few hours of a ticket raise, this is what anyone could asked for. Keep up the good work, team. The course material was fantastic and the trainer was equally amazing. I received regular calls from Simplilearn to check the quality of ongoing training. Sample Question paper prepared by Simplilearn really helped me. The certification helped me to change my role from Senior Program Analyst to Assistant Manager - Operations with a hike. Thank you Simplilearn. I was working in the mechanical engineering field for a couple of years and wanted to take a turn to IT. One of my friends introduced me to Simplilearn. They not only showed me a path but also guided me in every step. I have completed my Prince2 Foundation & Practitioner certification and CSM from Simplilearn and have also enrolled for PMI-ACP. The learnings have boosted my career and helped me to gain a hike. Now I am working as a Project manager Scrum Master in one of the world's leading E-learning provider company. I have completed Prince2 Practitioner certification with Simplilearn. This certification has helped me to gain a positive attitude about my life carrier. My experience with Simplilearn was very nice and smooth. The trainer helped me understand the fundamentals and practical aspect of Project Management with real-time examples which were very helpful. He even helped us to prepare a quick reference guide which we can refer in future and get more clarity. Prince2 certification has helped me to boost my career from Pre-Sales consultant in Ericsson to Engagement Manager at mokSa Technologies. The content was very interesting and helpful. The trainer used to share as much as real-time examples with us, which was very good for our understanding and learning experience. He was full of energy. Thank you! Simplilearn's PRINCE2 Foundation and Practitioner was a very good experience. The classroom experience was amplified by relevant examples. The trainer was very knowledgeable and explained the content in simple language which helped me to understand it easily. Simplilearn's PRINCE2 Foundation and Practitioner was a good experience. I highly recommend Simplilearn. Simplilearn is a very client and student-friendly company. Their support makes the lives of working professionals better and with ease. Thank you for all the support and good work. The learning experience with Simplilearn was simply amazing. I have done 4 courses from Simplilearn in the last 2 years (including 1 instructor-led course). The course contents are rich and relevant, easy to grasp and implement. In case of few certification courses, Simplilearn offers 4 test exams. These exams almost mimic real exams in terms of quality of questions. Instructor-led courses are even more engaging. The trainer is very helpful by not just clearing the concepts but clearing those with the help of practical examples related to any industry. I will recommend my friends and colleagues for any future courses they want to pursue from Simplilearn and looking for many more courses for myself in Simplilearn. Simplilearn is a wonderful platform where any fresher, as well as professional individual, can enhance their career by opting a numerous number of courses. These courses indeed help the individual to learn the particular course as per the industry standard. The certification helped me to enhance my career from Assistant Manager Operations to PMO- Assistant Manager with a hike. The PRINCE2® Foundation and Practitioner Certification from Simplilearn helped me transform my career from a Team Leader to Assistant Project Manager with 25% hike in my salary. Earlier, I was working with finance and accounts and conversing with customers in the BPO sector but now I have moved into technology and am handling projects that are both challenging and interesting. Although an exhaustive course, the way the trainer explained was really good. He was very patient with students, very inclusive. The videos and the flowcharts at the end really brought all concepts together, and was helpful in reinforcing the learning. Thanks! The entire session was so engaging and the faculty explained the concepts and contents so well in a simple way and with perfect live examples. Course gives insight to real life exposure and platform to enhance the overall project management skills. The classes are conducted by a highly qualified PRINCE2 certified trainer with more than 15 years of work and training experience. Is the PRINCE2 exam an open-book test? Yes and No. There are two exams that this course will help you pass. The PRINCE2 Practitioner Exam is an open-book exam. You will need to bring your PRINCE2 training manual along for reference during the exam. The PRINCE2 Foundation Exam is not an open-book exam. How do I book PRINCE2 Foundation and Practitioner exams through Simplilearn? To make an appointment for the exam, create a ticket on our LMS and our support staff will book the exam for you within 72 working hours on your desired date at the testing center you choose from our list. If you wish to take the test online, you’ll be issued an online exam voucher that can be used within one year to take the online exam with an AXELOS® registered exam institute. Who will issue the exam voucher and exam code? Once you have completed the course material and you are ready to take the certification exam, you can send a request to exam@simplilearn.com and we will issue you an exam voucher or code. An exam voucher (alpha-numeric) is issued for online examinations and exam code (numeric) is issued for paper-based examinations. How do I select my preferred date for the exam? When sending the request to take the certification exam, you need to mention the date on which you need to take the exam. This is the date on which you need to take the exam to ensure validity of the code. How do I redeem my PRINCE2 exam code? You will need to register on Peoplecert and enter your voucher or code in the appropriate section. When you have completed the training course, you will receive a course completion certificate along with a certificate stating the number of PDUs. Once you have passed the PRINCE2 certification exams, you will receive the prestigious PRINCE2 Foundation and Practitioner certifications from AXELOS. Are the PRINCE2 manuals supplied along with the training course? No, the manual is not included. You can purchase the manual from Axelos.com. This is highly recommended because you will need to bring the manual with you to the testing center when you take your exam. Do you provide assistance for the exam application process? Yes. For detailed information on the application filing process, refer to the information on the PRINCE2 Certification Journey page. You can also post questions on community.simplilearn.com for this course or any other course-related topic. How many questions are there in the PRINCE2 Foundation and Practitioner Certification Exams respectively? The PRINCE2 Foundation Exam has a total of 75 questions that must be answered in one hour. The PRINCE2 Practitioner Exam has 8 sections with 10 questions per section, to be answered within 2½ hours. Online classroom training for PRINCE2 Certification is conducted via live streaming and conducted by a PRINCE2 certified trainer with more than 15 years of work and training experience. All of the classes are conducted live online. They are interactive sessions that enable you to ask questions and participate in discussions during class time. We do, however, provide recordings of each session you attend for your future reference. Headset, speakers, and microphone: You’ll need headphones or speakers to hear instruction clearly, as well as a microphone to talk to others. You can use a headset with a built-in microphone or separate speakers and microphone. Yes, you can cancel your enrollment if necessary. We will refund the course price after deducting an administration fee. To learn more, please read our Refund Policy. You’ll get access to our e-learning content, practice simulation tests, and our tips and tricks videos that help you tackle the toughest of the exam questions. You will also get an online participant handbook that cross references the e-learning to reinforce your learning. Are the training and course material effective in preparing me for the PRINCE2 Exams? Absolutely. Our certification training course is designed to guarantee you’ll pass the exams on your first attempt. With a hands-on learning approach, the training not only gives you the confidence to pass the exam, but also helps you retain knowledge beyond the exam. The classes are conducted by a highly qualified PRINCE2 certified trainer with more than 15 years of work and training experience. Each of them has gone through a rigorous selection process which includes profile screening, technical evaluation, and a training demo before they are certified to train for us. We also ensure that only those trainers with a high alumni rating continue to train for us. Our teaching assistants are a dedicated team of subject matter experts here to help you get certified in your first attempt. They engage students proactively to ensure the course path is being followed and help you enrich your learning experience from class onboarding to project mentoring and job assistance. Teaching Assistance is available during business hours. PRINCE2® is a registered trade mark of AXELOS Limited, used under permission of AXELOS Limited. All rights reserved. The Swirl logo™ is a trade mark of AXELOS Limited, used under permission of AXELOS Limited. All rights reserved.